LEAF COLLECTION: Beginning approximately the third week of October until Thanksgiving, the Village maintenance crew picks up leaves which are raked to the edge of the street in long rows. Each street in the Village is covered by the maintenance crew at least once each week during this period. Leaves will not be collected if mixed with twigs or grass clippings. Grass clippings must be disposed of in Star Disposal yard waste bags and twigs can be bagged or placed out on regular brush pick-up day separately from leaves. REFUSE COLLECTION: Refuse disposal is contracted with a private company through the Village to obtain lower rates and is billed on the bi-monthly water and sewer bills. Residential refuse is picked up every Monday (except if a holiday falls on Monday then pick-up is changed to Tuesday). Refuse should be placed out in a covered container prior to 7:00 a.m. on pick up day but no earlier than the prior evening. (Refuse placed out earlier than the evening before collection day constitutes a nuisance and is subject to fine). All open burning within the Village limits and dumping of garbage and/or debris on public or private property is strictly prohibited. RECYCLING: Curbside recycling is collected every other Monday in the Village (except if a holiday falls on Monday then pick-up is changed to Tuesday). Recyclables must only be placed in the container provided by Star Disposal and should be placed out to the curb prior to 7:00 a.m. on pick-up day or the evening before. Glass, aluminum, tin, plastic, newspapers and cardboard should all be put together loose in the recycling container. BRUSH PICK-UP: April through November, brush is picked up by Village maintenance workers every other Monday- the same day as recycling is picked up by Star Disposal (except if a holiday falls on Monday then pick-up is changed to Tuesday). Brush should be placed out prior to 7:00 a.m. on pick-up day. The cost of this service is included in the refuse charge on residents’ water bills. YARD WASTE DISPOSAL: Yard waste must only be disposed of in yard waste bags with the Star Disposal or Homewood Disposal logo on the bag. Bags can be purchased at the Village Hall, Walt’s Foods and Beecher Hardware in Beecher. The cost of the bag is the charge for disposal of the waste at a compost site. State law prohibits disposal of any type of yard waste in a landfill so it cannot be placed in with regular garbage. Yard waste bags should be put out for pick up on Mondays (except on holidays) with regular refuse pick up. A special truck comes by to collect the yard waste bags. Yard waste is only collected between April 1st and November 30th of each year. The compost site is closed the other months of the year. MOSQUITO ABATEMENT: The Village has a comprehensive mosquito abatement program which includes catch basin treatment, larvicide control and adult spraying. Residents are asked not to allow open standing water on their property to prevent mosquito development. 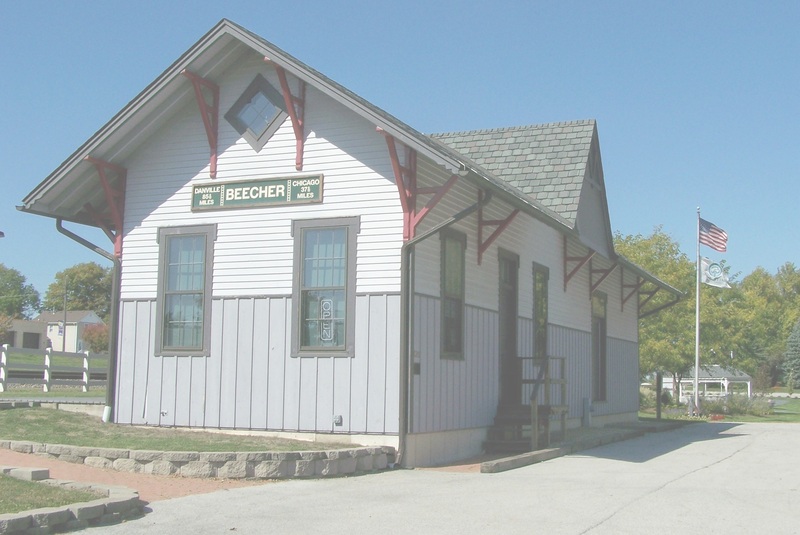 VILLAGE HALL SERVICES: The Village Hall provides a variety of services for the convenience of Beecher residents. Voter’s registration, notary and public information are a few of the most popular services currently provided.